Prancing Around With Sleeping Beauty is the second novel in the Storybook Valley Series. 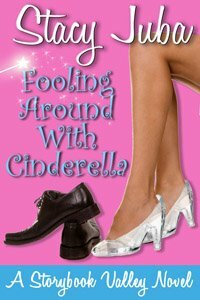 I enjoyed book one, Fooling Around With Cinderella, so I couldn’t wait to read its sequel. Just as I knew it would be, Prancing Around With Sleeping Beauty was just as good as the first book. It’s well crafted with rich details, witty dialogue, and a captivating plot. Rory Callahan has been teaching dance for years. Although it was comforting to know that she was a valued employee, her dream has always been, to open her own dance studio. But before that could happen, major decisions would have to be made. All of them, unfortunately, will shake up not only her world but many others as well. Kyle Thorne has become a significant distraction for Rory. He was all, she could think about. The main problem with Rory’s preoccupation was, that she already had a steady boyfriend. She has known Brad for years. Rory was supposed to marry him. And why wouldn’t she want to? He was well-liked, good-looking, easy to be with, and a doctor. But that was just it, Rory was comfortable with Brad, but not happy or passionate. Kyle, on-the-other-hand, was spontaneous, funny, hot, and forbidden. Kyle, was also; unfortunately, the grandson of her grandfather’s greatest rival. Rory will have to decide whether keeping the peace with those around her is worth giving up her own joy and sense of adventure. Rory has always played the peacemaker in the family, but, isn’t time for her to let go of that responsibility? Does Rory dare to risk giving up a steady job, and a boyfriend she has had for years, just for a chance at true happiness and love? 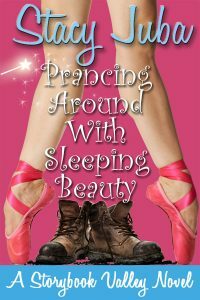 Prancing Around with Sleeping Beauty is a sweet, light, and funny romance. I loved it. Thank you, Stacy Juba, for my complimentary copy of Prancing Around With Sleeping Beauty. Things Fall Apart is an emotionally charged, well-written novel about a single mother’s struggle to save her children from the venomous claws of addiction. The story takes place in the 1980’s, during a time when treatment for drug addiction was less than ideal. Desperate and at her wits-end, thirty-five-year-old single parent, Mandy, and her well-intentioned neighbor, Maureen, decide to take matters into their own hands. However, they chose a method of treatment that was shocking for even the 1980’s. In this day in age, such an intense measure would never even be considered, because of the serious potential for violence and severe injury to anyone nearby, including family members. Drug addiction touches just about every family in one way or another. Unfortunately, for some, addiction stabs at the family’s very core, making it a hellish existence for everyone in that circle. What I liked most about this book, was that it illustrated, just how fast drugs can devastate a family and what exactly a parent should look for. Recognizing the early signs of substance abuse or experimentation of them, is paramount. Once addiction has taken hold of a person, treatment is usually only successful after the addict has hit their bottom. Parents who have children trapped in the world of drugs will be able to identify with Mandy’s feeling of helplessness and remorse. The truth of the matter is, addiction is a cunning and insidious disease, and one that parents, especially those who are not street-wise, never see coming. If you know of a parent who is suffering, support them. Al-anon is their best help and tough love, unfortunately, their only answer.